New releases at The Digichick October 27 are a virtual cornucopia of delight. I had the pleasure of working with a couple of new products this week. 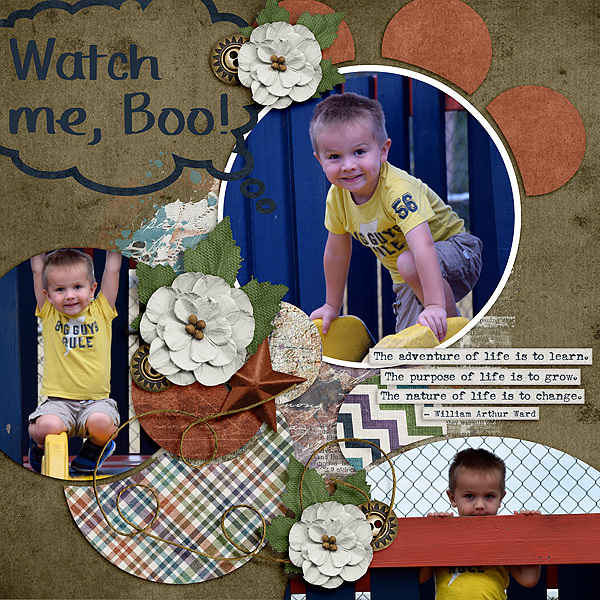 I created this layout with Circle of Friends template by Christaly using Created by Jill’s new kit, Roll with the Changes. Layout #2 was created using Shades of Grey by Veronica Spriggs. I love the colors in this mostly monochromatic kit. It made me think of our countries current state of affairs where so many insist there is no definite right or wrong but many shades of grey that should impact our decisions. I disagree with that philosophy but it is an indicator of the times in which we live. This entry was posted in Deals, New Release, The Digichick on October 27, 2016 by Yobeth. New releases at The Digichick for October 20th are mostly centered around Halloween. That makes it difficult for someone like me that does not promote or participate in Halloween! 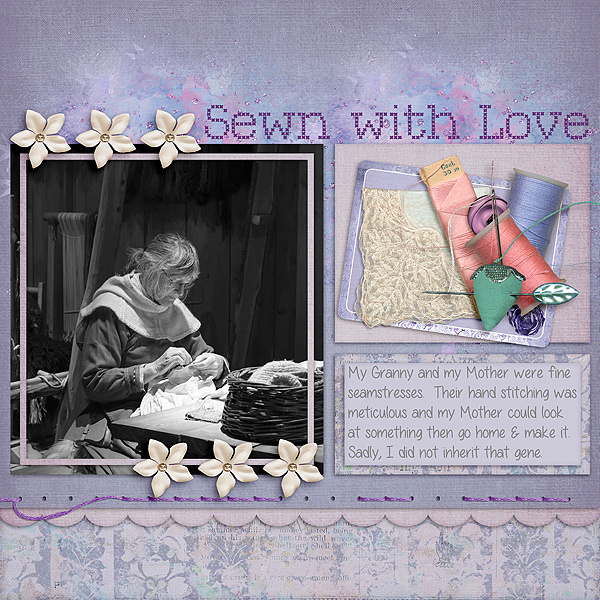 But Alexis Design Studio has a lovely sewing themed kit this week. Grandma’s Sewing Room is perfect for sewing layouts. 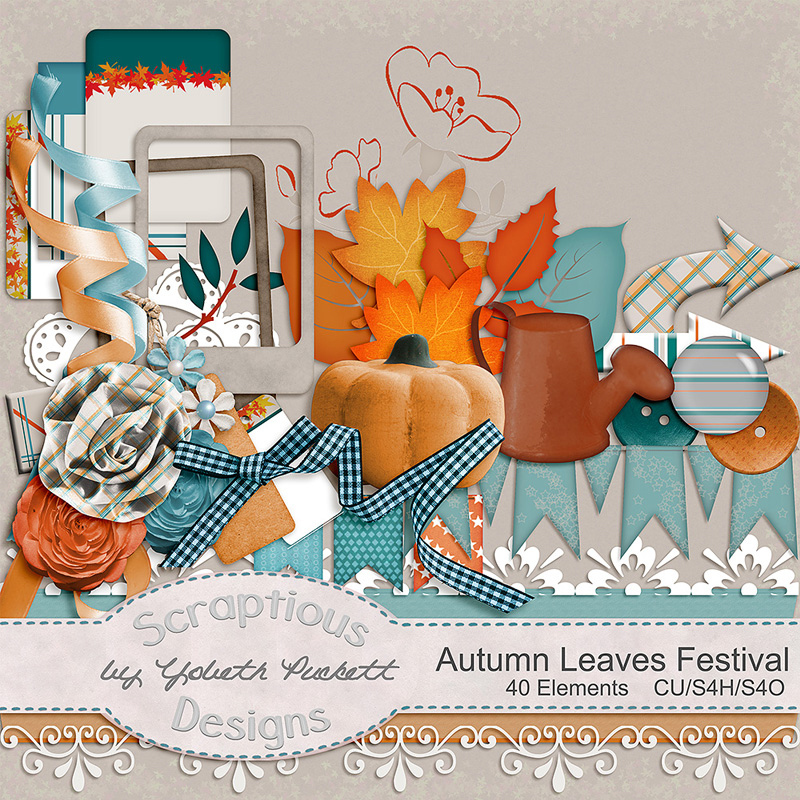 This entry was posted in Challenges, New Release, The Digichick on October 20, 2016 by Yobeth. Voting has begun for Round 2 of the Next Designer Competition. Your vote determines who will move on the Round 3. I’d really appreciate your vote. Vote here. Gallery here. Voting closes at 11:59 am EST on Monday October 17. This entry was posted in Challenges on October 14, 2016 by Yobeth. 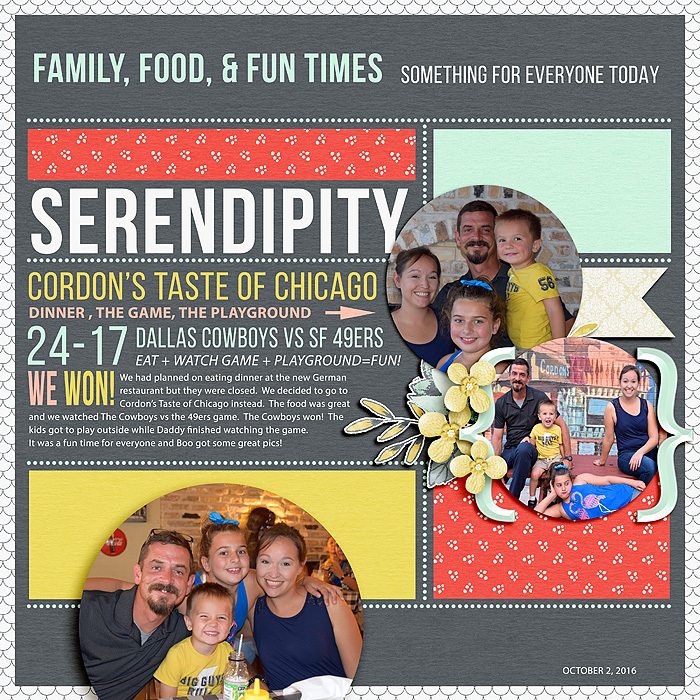 I entered the Next Designer Competition at DigitalScrapbookingStudio this month. So far I made it through Round 1 voting. Whew! It wasn’t easy. Most of the competitors are already professional designers, selling their goods in store across digi-land. Voting for Round 2 starts Friday at 11:59 am EST. I’ve got my entry posted and hope to make it through Round 2 voting. Since Round 1 is complete I’ve got freebies for you. In Round 1, we made 5 cardstock and 5 patterned papers. We’re limited to the color palette that won the Pick the Palette contest. Let me tell you, it’s very difficult to be limited to 5 colors plus black & white to darken/lighten them. 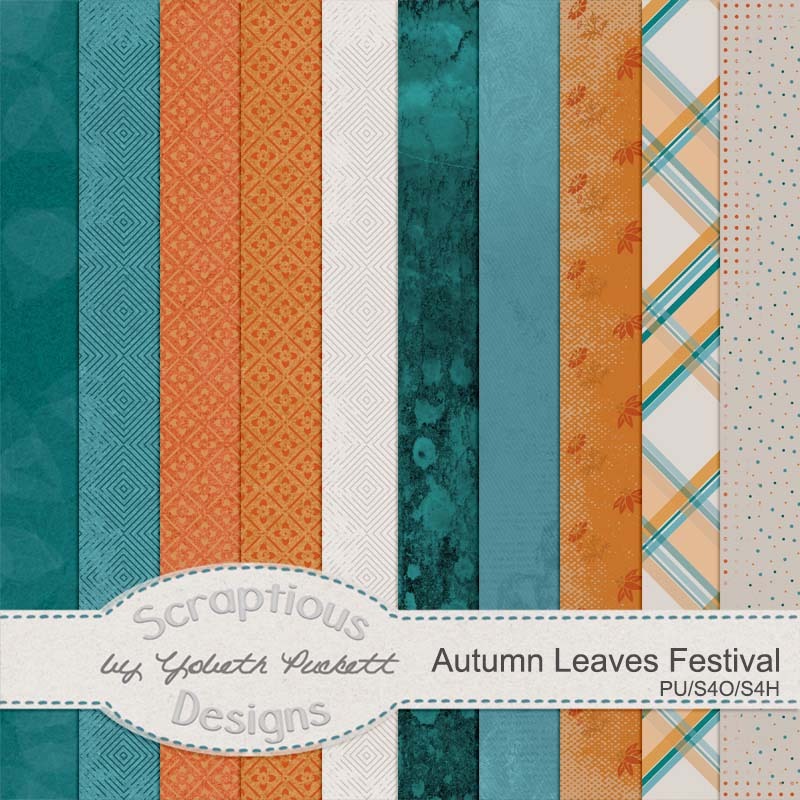 My design is about autumn leaves so I would have loved to be able to use yellow and green! To get the freebies click the download links below. For Round #2, we are still confined to using the very limited color palette plus black & white. I’ve posted my entry and I will post the link to vote on Friday afternoon. Here’s a preview of the elements I created. Once the voting is complete I’ll post the download link here. I need your vote to move on. This entry was posted in Challenges, Freebie on October 12, 2016 by Yobeth. New releases at The Digichick have been released! Another week of fabulous and fun goodies. Remember all new releases are on sale through Sunday, so grab them now. Kim’s new kit, Vintage Treasures, is perfect for this family photo. I’m the little girl sitting on her Daddy’s lap. 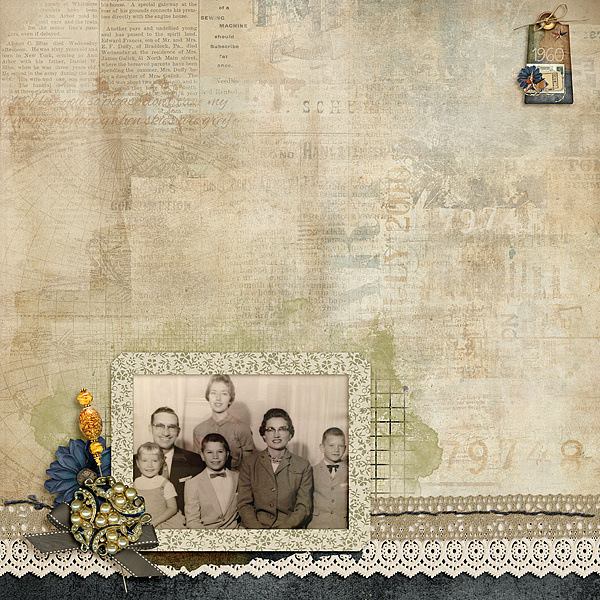 I made this layout for the October Give Me Space Challenge at The Digichick. I love the brooch and the hat pin! So perfect for 1960! This entry was posted in Deals, New Release, The Digichick on October 12, 2016 by Yobeth. The Annual Next Designer Competition at the Studio started on Monday. It’s consists of 4 Rounds and is an elimination contest this year. Round 1 is to make 10 papers (5 cardstock & 5 patterns). Here is a preview of my papers. See the full gallery here. Vote here (I’m the third one down the list). Thank you for looking and please use one of your 3 votes to vote for me. The link below is the gallery for all the competitor’s papers. So go grab them all, each preview is linked to the download links. By the end of this competition, you will have a free MEGA collection. Start collecting the free mega collection here Annual Next Designer Competition Gallery. Voting begins at noon (EST) Friday, October 7th. Your vote determines which 30 contestants will move on to Round 2. I hope to be in that number but I need your help to move on to Round 2 and I would definitely appreciate your vote. Thank you for looking. This entry was posted in Announcements, promotion on October 6, 2016 by Yobeth.